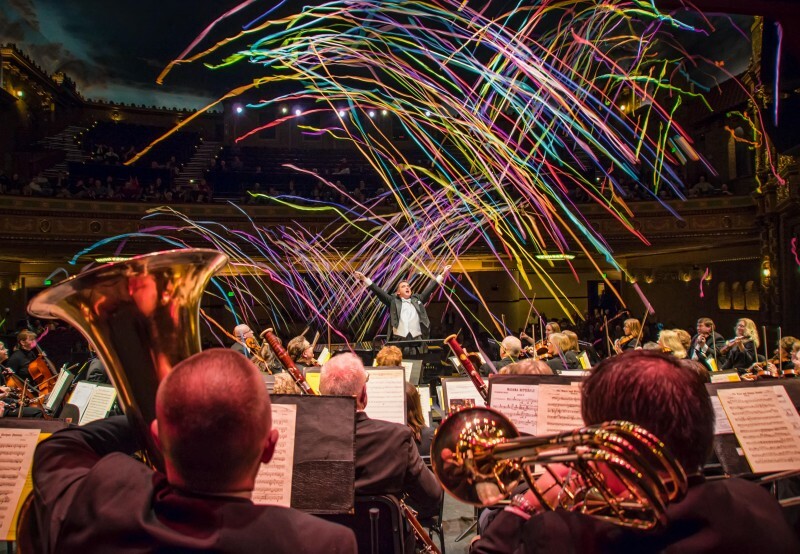 The Civic Symphony of Green Bay continues its concert season with a program entitled “Heroes Battling for Freedom,” which takes place at the Meyer Theater on February 16th, at 7 p.m. In a time when we are looking for heroes among us, the Civic Symphony takes you on a musical journey celebrating epic tales of heroism throughout the ages. The evening kicks-off with the Overture to Giuseppe Verdi’s opera, Nabucco, which is followed by its Hebrew slave chorus, “Va pensiero,” featuring a group of singers from various community choral groups. This moving work is the highlight of Verdi’s opera, composed in 1841, that embodied the epic struggle and virtue of the Jewish people as they are exiled from their homeland. Fittingly, the choral work was spontaneously sung by the crowds at Verdi’s funeral. Aram Khatchaturian composed the music for the ballet, Spartacus, in 1954, which follows the exploits of the leader of the slave uprising against the Romans. This concert includes the Orchestral Suite No. 2, which is comprised of a beautiful Adagio movement depicting the loving, yet bittersweet, relationship between Spartacus & his wife, Phrygia. The Suite also contains a grand entrance of Merchants, Generals, Courtesans and, eventually, the hero, Spartacus himself, while concluding with the exciting Dance of the Pirates. John Williams wrote the Hymn to the Fallen score for the movie Saving Private Ryan in 1998, whose score helped bring to life the sense of heroism and acts of valor that rose above the horrors of WWII. The evening’s performance will again feature our guest choir members as well as a moving tribute to veteran family members of the orchestra who have served our Nation in military service. The evening’s highlight will feature the winners of this year’s Miroslav Pansky Concerto Competition. Auditioning in October, judges awarded pianist, Peter Lagerschausen from Lawrence University, first place on the college-level, while violinist, Emily Hauer, who is home- schooled in Appleton, was awarded first place amongst the high school participants. Mr. Lagerschausen will be performing the kinetic and propulsive first movement Toccata from Nikolai Medtner’s Piano Concerto No. 2 in C minor. Ms. Hauer will be performing the intensely romantic and fiery Finale from Max Bruch’s Violin Concerto No. 1 in G minor. In conjunction with celebrating heroes of the past, the evening’s festivities are a collaboration with the American Heart Association, an organization comprised of heroes fighting a disease that currently affects us all. There will also be a special pre-concert 3-course dinner at Backstage at the Meyer, with Executive Chef Nicole Hoida preparing a wonderful mid-winter feast as a prelude to the evening’s festivities. Information & tickets for the pre-concert dinner are available at: gbcivic.org. Admission for the concert is $18- Adults, $15 Seniors, $10-Students, and admission to the dinner is $50 per person. Tickets for both events may be purchased online at www.ticketstaronline.com, or at the Resch Center or Meyer Theater during business hours.